This is one of the many things I learnt when I went for an introductory tour at Bukit Brown last month. Never in my life have I been to a cemetery, so when I first signed up to walk the hills of Bukit Brown cemetery with Darren, I had no idea what to expect. I was also probably a little too preoccupied with wondering why I even signed up to walk among graves on Chinese Ghost Festival. The one day where ‘hungry ghosts’ are said to roam earth in search of food and ‘entertainment’. But there I was, standing at Hill 1 of Bukit Brown Cemetery at 9am on a Saturday with about about 10 or so in the tour group. The Chinese believe that there is nothing to be afraid of if you haven’t done anything wrong, but I still couldn’t help but feel slightly apprehensive about possibly encountering netherworldly beings. After all, the mind will only wander when facing the unknown. I had pictured the cemetery to be what I usually see on horror films: in a decaying state and eerie. As we stood around waiting for late comers however, I realised how misguided I was in my impression. Granted, it was daylight, but you know how there are some places that just feel creepy regardless? For example, you would somehow get creepy vibes from walking down a long, narrow, echoey corridor with no one else around, but this place is nothing like that. 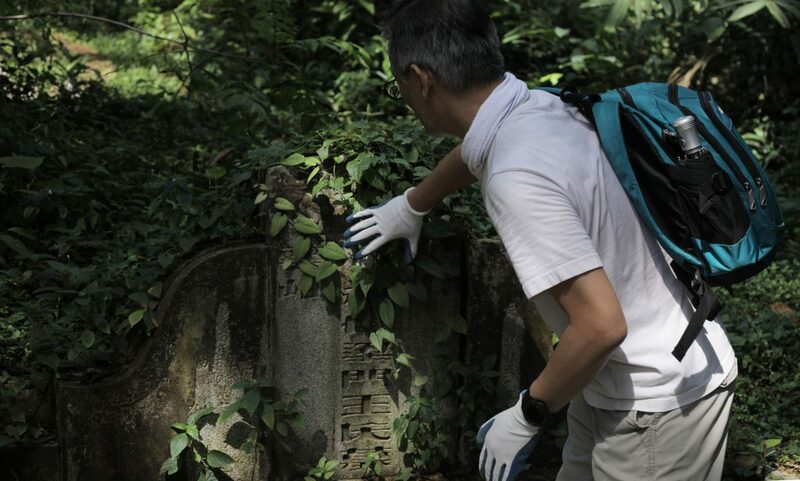 For a place where it’s home to the dead, it was teeming with life and I was struck by how beautiful the greenery is, especially the iconic rain tree that towered above us as we made our way deeper into Bukit Brown from Hill 1. For a moment, it felt a bit like a scene from Alice In Wonderland, enchanting and where the plants and trees are larger than life. Adding on to my surprise that the cemetery is actually a pretty peaceful place to be at, we bumped into a group of four who were riding by on horses. 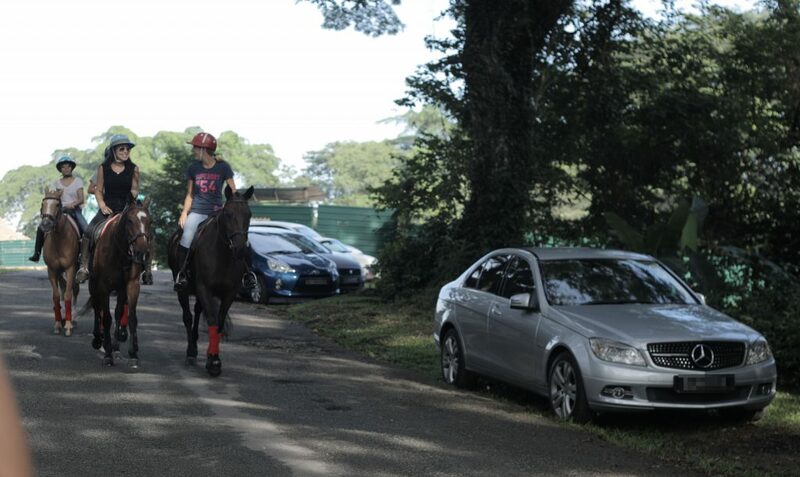 Darren explained that because of the beauty and tranquility of Bukit Brown, the Singapore Polo Club and the National Equestrian Centre actually hold horse-riding tours there. 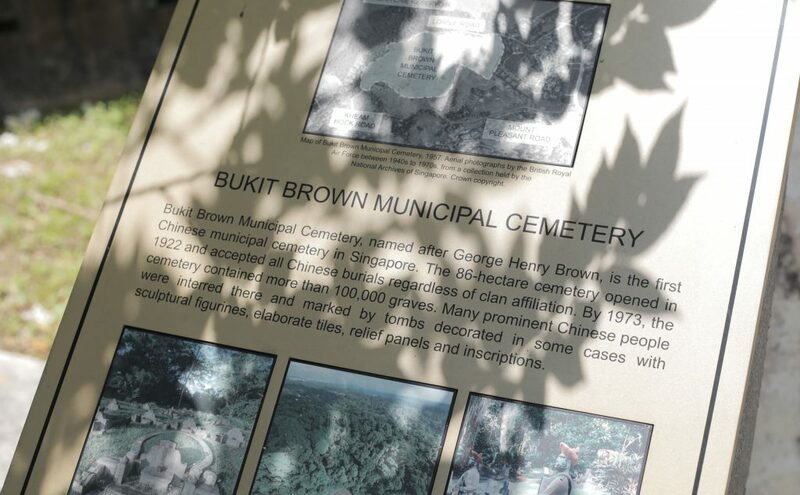 In fact, Bukit Brown Cemetery is no longer a place for paying respects to ancestors, but also a place for recreation. 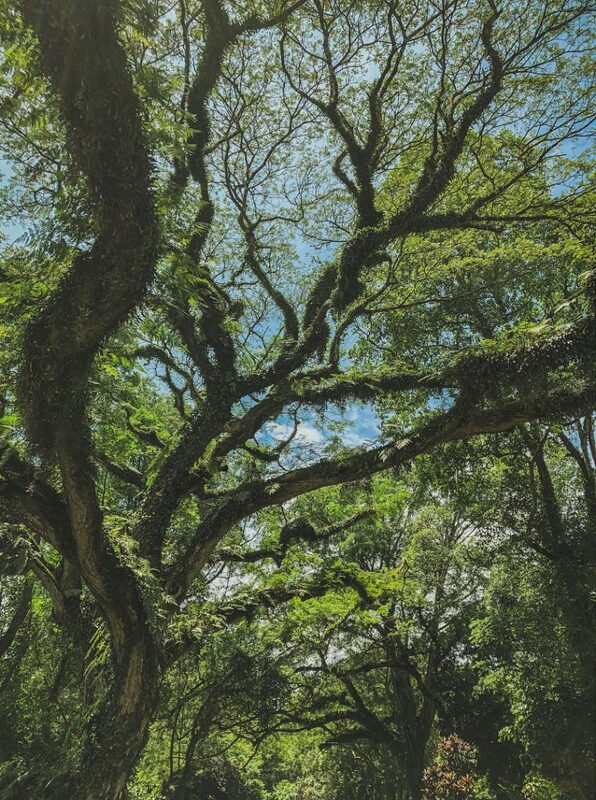 There are many other tours that will take you through Bukit Brown, like the Nature Society (Singapore)’s birdwatching tours and it’s also a norm for people to jog or walk their dog there. It was a fresh perspective for me as I had never thought of going to a cemetery, much less see it as a site for recreation. One of the volunteers from the group of volunteers behind a.t.Bukit Brown (all things Bukit Brown), Darren’s head of grey-white hair and a white moustache outlining his jaws make it easy to assume him to be a retiree. It was only at the end of the tour that I learnt, much to my surprise, that he is actually the Vice-Dean of the School of Law in SUSS. As Darren brought us around, I realised Bukit Brown is huge. 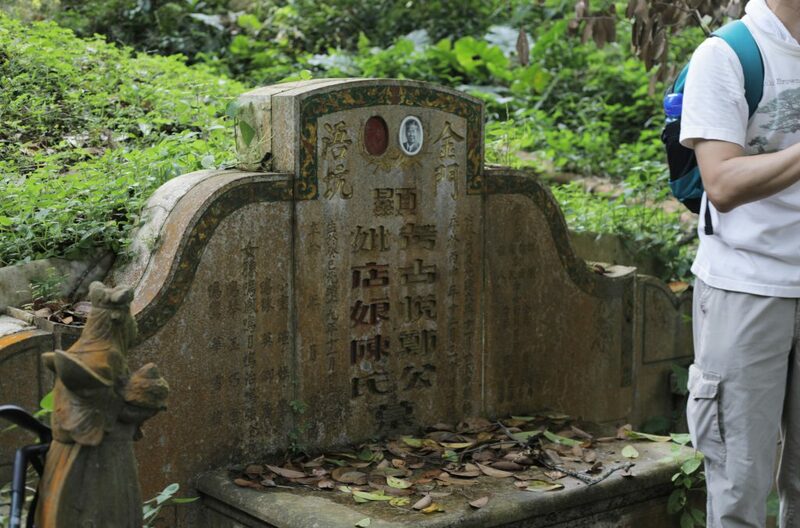 Before the exhumation of graves to make way for the new Lornie Highway, the five hills that make up Bukit Brown were home to about 100,000 graves, making it one of the biggest Chinese cemetery outside of China. Even the largest cemetery in Paris, the Père Lachaise Cemetery, is only about half the size of Bukit Brown. The former is a major tourist attraction that has been hailed as the most-visited cemetery. Yet, Bukit Brown seems to be seen as an impediment to urbanisation here – at least from our ‘masterplans’. 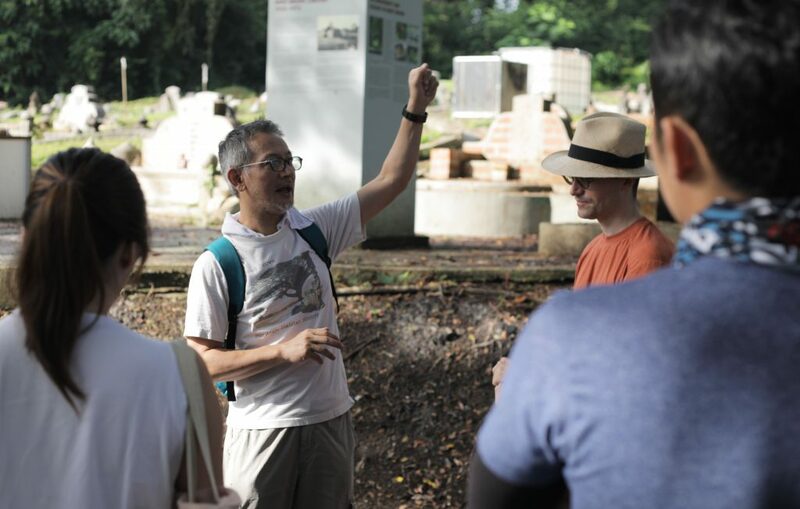 The scale is one, but let’s not forget the rich history and heritage behind Bukit Brown. Burying the dead used to be a very complicated matter as it involved knowing the deceased’s dialect group or where they hail from. It determined where they should be buried at. 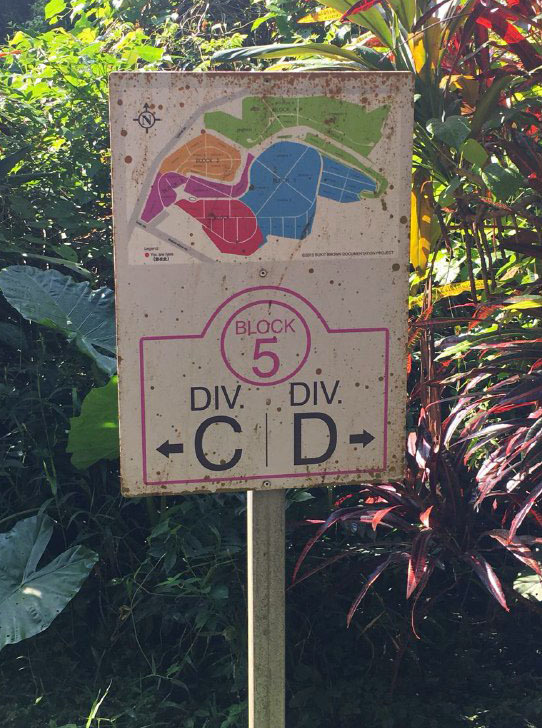 For example, one would have to bring the body of a Cantonese all the way to the cemetery at Bishan because that is the dedicated Cantonese cemetery. Even then, one would still have to prove that the background of the deceased. Then, there are the costs involved. 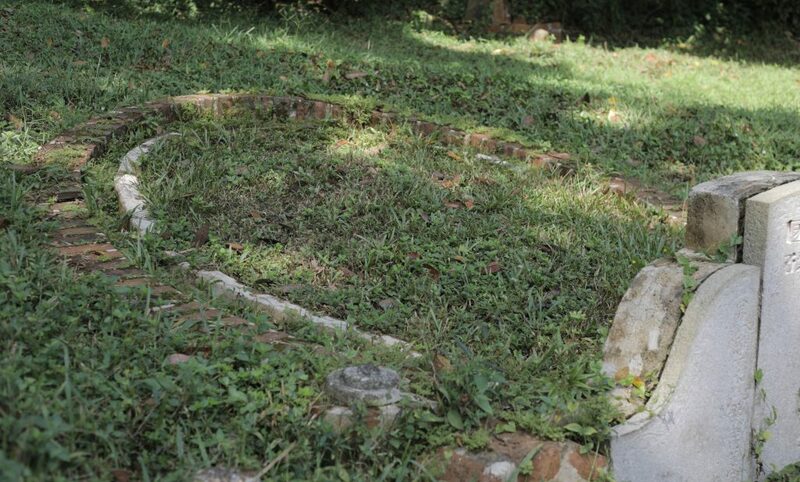 Because most cemeteries were private, one would need money to buy a plot and to bury a body. Paupers would end up having to depend on donations from kind, wealthy businessmen for their burial. 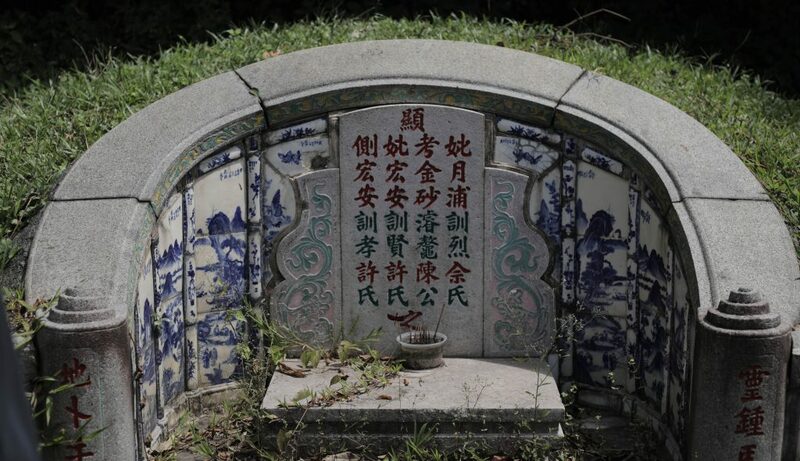 Bukit Brown was the first municipal Chinese cemetery and it solved the problems above as the government would fund the burial of paupers as long as there is a death certificate. 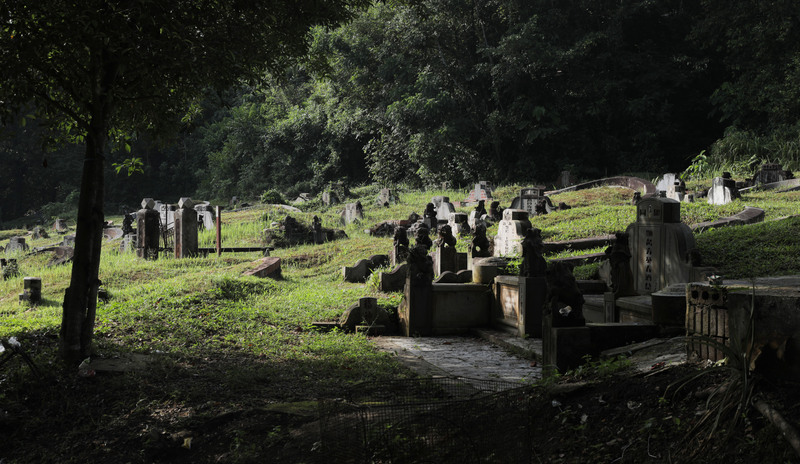 The cemetery was also not associated with any clan or ethnic group, and all the factors contributed to Bukit Brown becoming the most popular Chinese cemetery. As we traipsed through Hills 2 and 5 during the tour, I imagined how beautiful the place could be if more was done in terms of maintenance. Ever since the government closed all cemeteries in 1972 due to land space concerns, nature has taken over the once properly manicured lanes. 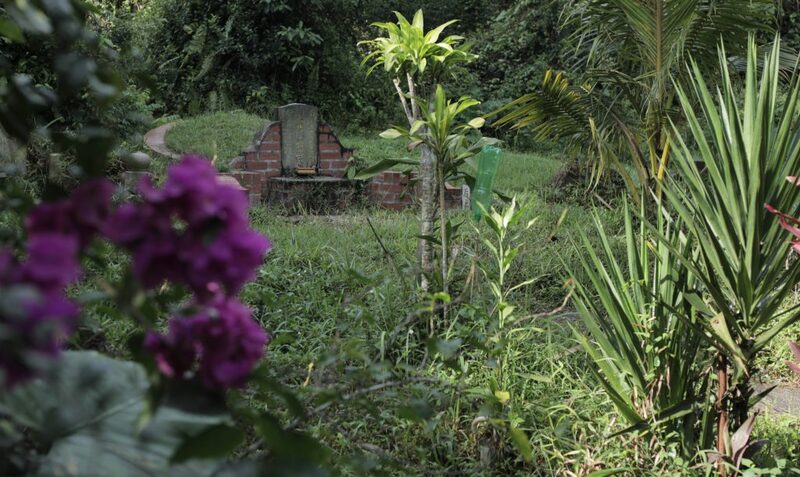 Many of the graves are also enshrouded by flora. Where there used to be open land and clear walking lanes to each grave, we had to brave through tufts of thick grass, step over fallen branches and avoid slipping on moss as we made our own paths to the graves we visited. As we did, Darren explained the unique characteristics of different graves. Interestingly, every part of a tomb ‘design’ has got a meaning to it. 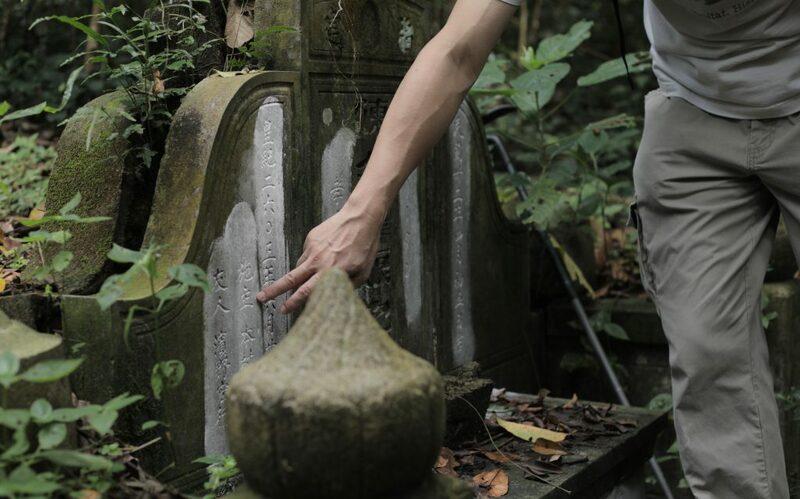 The tombstones of a Hokkien grave are free-standing and may or may not be supported with stones on the left and right. There will usually be a peripheral wall behind the tombstone and for the very wealthy, you will find two walls. The two wall also creates a trough such that when it rains, water would flow down the trough to the front of the tomb and because water is wealth to Chinese, it signifies that the wealth would flow down to the descendants. 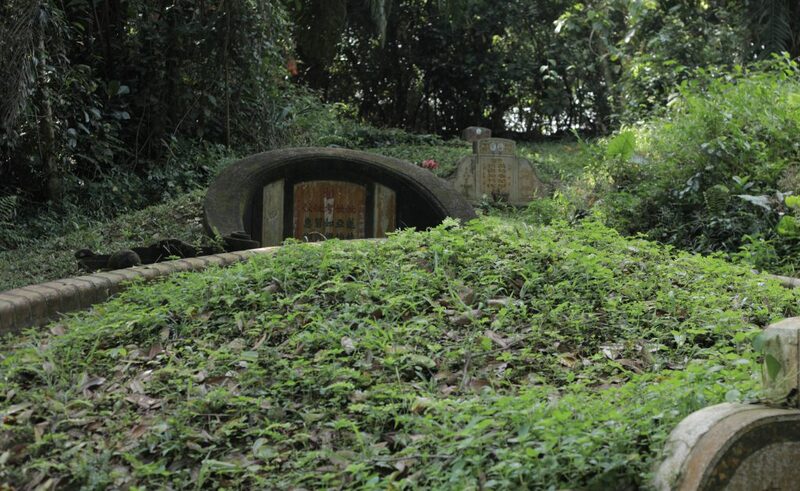 The Teochew graves, however, is built into a wall and do not have a peripheral wall around where the body lies. The inscriptions also tell a lot about what is important to each Dialect group and also the story of the person’s life. The Hokkiens will have all their children’s names on the tomb, but their wife’s name will not be included unless she is buried with him. The Teochews, however, will have the names of every women in his life disclosed on the tombstone but not their descendants’ names. A three-hour history ‘lesson’ sounds like a drag, but having hosted Bukit Brown tours for about three years, Darren’s animated story-telling kept me engaged. 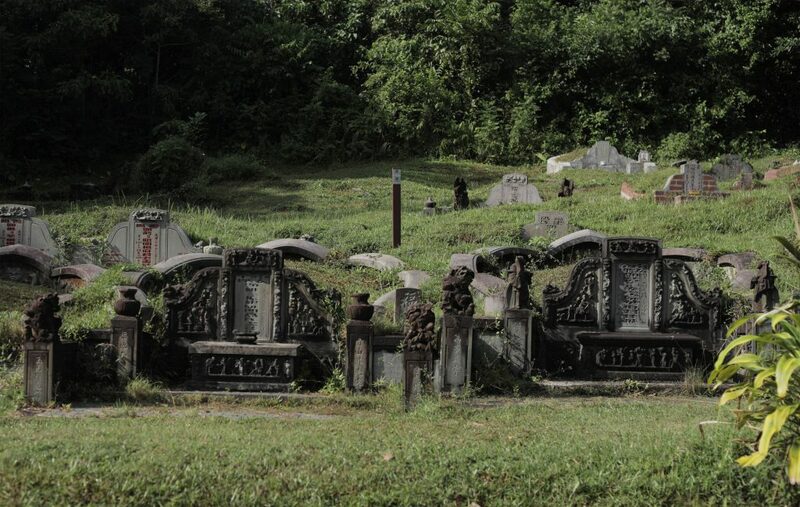 Even though I grew up in a very different era from the people who now resides at Bukit Brown, it was fascinating to hear the stories of the graves we visited. We heard the stories of Tay Koh Yat, who established a bus company that was merged to what we know as SBS today, explored the mystery of Dolly Tan, learnt about the kingdom of Neo Tiew, and Chinese businessman Tan Kheam Hock amongst others. I got a glimpse into what was life back in the 1940s, of the challenges that some of these people faced and the brutality of living in the period of a World War. I’d be lying if I said I can relate to the struggles these people faced, because I can’t. But the stories that Darren regaled us with made me better understand how our culture and society came to be, and better appreciate the luxuries we enjoy today. Although I am not converted to be a lover of cemeteries, I do have a new-found appreciation of it. To think that I’m born and bred in Singapore but knew nothing about our local cemetery and its stories, and it takes Darren, a Malaysian, to school me. 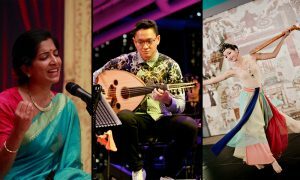 It put things into perspective and I understood a little more about why people fought for the preservation of Bukit Brown. I was one who couldn’t care less when plans of Lornie Highway and further redevelopment of the area were announced. But now that I’ve seen the tombs and heard the stories, I know the importance of preservation and conservation. 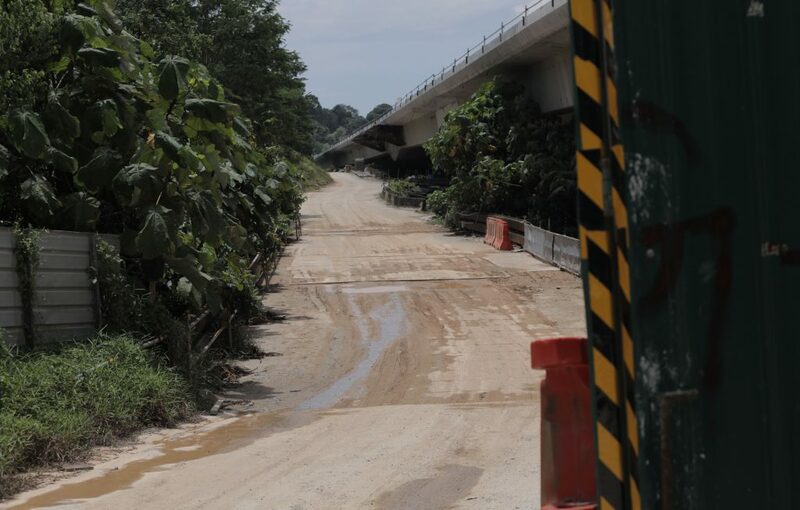 Urbanisation is important for the progress of a nation, but if come one day where all of such historical or heritage sites like Bukit Brown had to make way for progress, I think it to be a truly sad day. Also read, With Anti-Trump Protests Around The World, These Causes Closer To Home Are Also Worth Paying Attention To.